Furniture with unusual values. The proportions,... Furniture with unusual values. The proportions, size and shape of this furniture perfectly fit into the current trends of contemporary design. 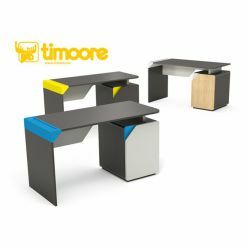 A completely new proposal offered by Timoore.... A completely new proposal offered by Timoore. One drawer chest from „Beep” collection combines the best features of drawers and shelves. Wall cupboard is an interesting, unusual... Wall cupboard is an interesting, unusual furnitures proposal, which is an excellent addition to the entire collection. The small, unassuming furniture, that... The small, unassuming furniture, that complements the single bed „Beep”. Desk table beside of such furniture as the bed... Desk table beside of such furniture as the bed or cabinets is the core of any collection. Is no different in the case of „Beep” collection. New designe of „Beep” collection matches perfectly to any interior. Elegant view, with expressive insert-elements, makes „Beep” orginal and unique. 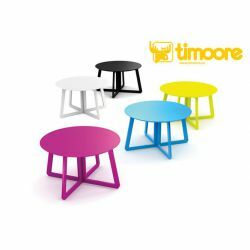 Large colour-pallet inserts will let you easely suit furniture to specific space. With traditional models, you can find some interesting pieces, which are worth to pay attention. 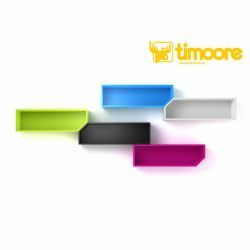 For example-bookcase with oblique shelves, desk with handy outfit, multicolored shelfs which can be placed with unlimited setup (double instalation system up-down). „Beep” fit to „raffish” style teenagers room, loft apartment or „glamour” style living room. 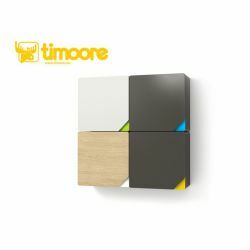 Materials and colours: The body of „Beep” furniture is made of laminated board in graphite (GRAF) or white (WHITE). 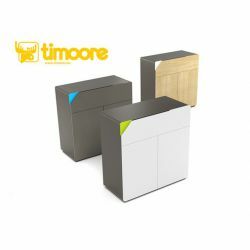 The fronts are made of MDF available in white (WHITE), light-gray (POP), graphite (GRAF) or in natural oak veneer (OAK). Additional elements are available in colors: blue (B), green (G), orange (O), pink (P), black (BLA), white (W), yellow (Y), cobalt (CB), mint (MINTH). We encourage you to use the color sampler collection „Beep” available from retailers.